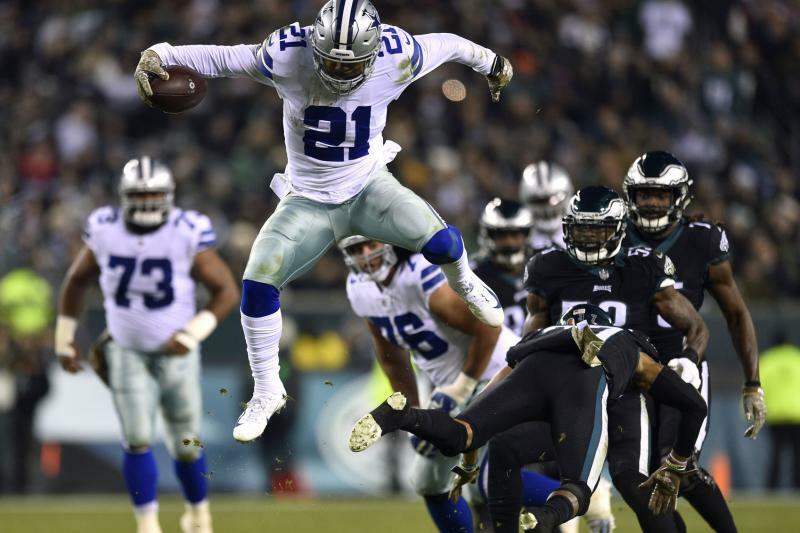 Ezekiel Elliott will be awesome at Rb …6’0″ 226 lbs with 4.47 forty speed + hands size 10 1/4 ” and can be an awesome blocker for the Qb . Ezekiel will tear up many Lbs going out for a pass play and having size 10 1/4 ” hands – Ezekiel doesn’t drop many passes . He has a great burst, adds in terrific balance and caps it off with the power to run through defenders. Elliott is also a reliable ball carrier with a mere four fumbles through his college career (nearly 600 rushing attempts). It’s hard to find a flaw in Elliott’s game. A running back with quickness, power, great decision-making, quality pass catching and high-end blocking ability doesn’t show up every year.